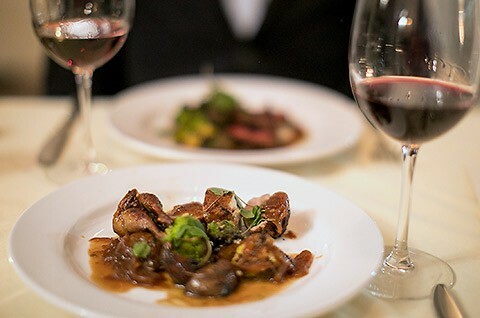 New Madison Valley brasserie Petite Galerieis launching a monthly dinner series this April with the first dinner theme “A Love Affair with Allium” held on Sunday, April 29 with one seating at 6:30 p.m.
What a surprise to discover that Rob Sevcik has come back to the neighborhood! We have not forgotten the fabulously surprising and magnificent dishes he sent to the table at Rover's. The hibiscus palate cleanser -- we still talk about it. Thank you, Rob, for coming back. Ray will come to the allium bash without me -- out of town, but I am looking forward to stretching my legs under your table many, many times.